Very comfortable, soft and warm . Special design for cool woman. 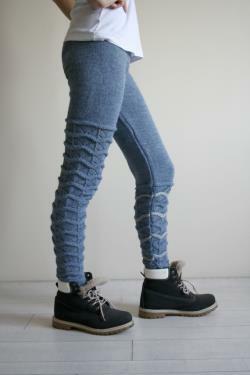 Good for training, exercise, yoga, dance, wearing to the winter way or just relaxing home. Also prefect for back packers and pregnancy. They are available in different sizes. Choose your size and join the fun. If you are interested in a particular color, let me know. Perfect for your self or as a gift for that special someone. Waist 24 inches to 37 inches. Waist 25 inches to 39 inches. Waist 26 inches to 41 inches. Waist 27 inches to 42 inches. Item will arrive beautifully packaged. For best care:hand wash and lay flat to dry. This pants was machine knitted in a smoke-free. Thank for visiting my shop.